Rosette 9leaves charm. This year we chose a design from a vase decoration from Kamares in Crete. The nine leaves symbolize the year 2019 together with an artistic "9" in the middle. The vases were found in the Palace of Knossos and are dated around 2000-1700 b.C. 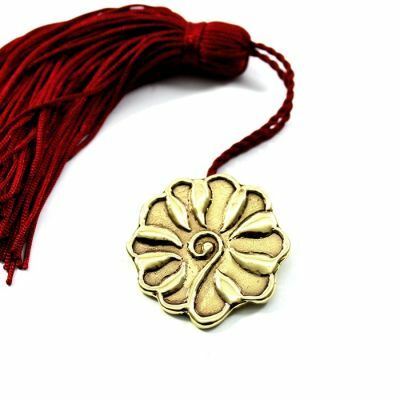 Handmade solid brass with tassel.